On Monday, Cedar Point announced that they would be “giving the axe” to their once record-breaking wooden roller coaster, Mean Streak. There was no blowback; no online petitions; no hashtag activists. Quite simply, people were ready to let Mean Streak go. But why? Aren’t we supposed to celebrate and try to preserve the wooden coaster in America? After all, we invented them back in 1884 at Coney Island. Mean Streak was part of a trio of massive wooden roller coasters built in the late 1980’s to early 1990’s. 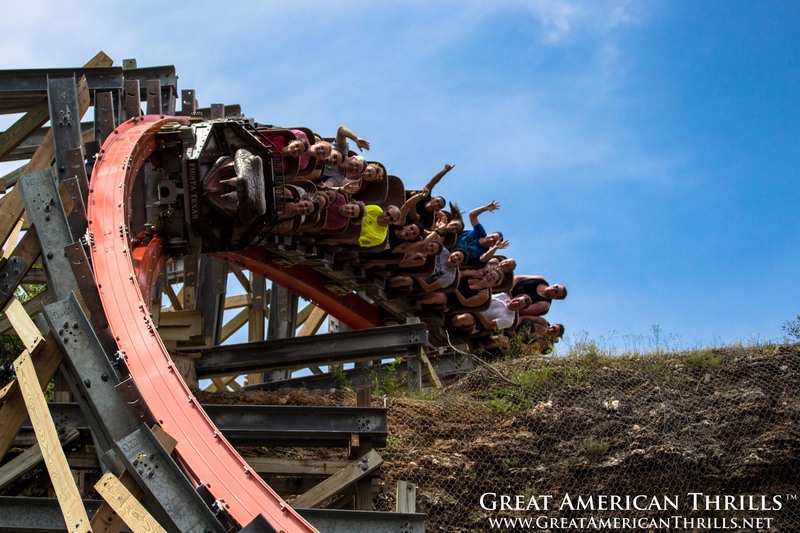 They were designed and built by Charles Dinn of Ohio and each (Hercules at Dorney Park, The Texas Giant at Six Flags Over Texas and Mean Streak at Cedar Point) were record breakers. They were also neck breakers. While the rides were massively popular their first year, the parks they sat in simply could not allocate enough man-hours or maintenance time to keep them running as smooth as when they opened. They quickly fell out of favor with not only ride enthusiasts, but also the general public due to their rough rides. Of the 11 wooden coasters that Dinn designed and built – four have been demolished, one has been renovated into a steel coaster and now we await the eventual fate of Mean Streak. The other massive woodies of the era (not built by Dinn) did not fare well, either. The Rattler at Fiesta Texas was renovated into a steel coaster in 2013 while Son of Beast at Kings Island was eventually torn down. The Texas Giant (one of Dinn’s designs) was converted into a steel coaster by Rocky Mountain Construction in 2011. The closure of Mean Streak is a bookend to a unique era in the amusement industry, where we discovered there is an upper limit to what wooden coasters can do, bigger was not always better and sacrificing ride quality for records does not make for a good, long-term investment. Let us hope that we never see an era like it again. There are roller coasters – and then they’re EPIC roller coasters. Iron Rattler at Six Flags Fiesta Texas is one of those attractions that takes your breath away. Once the tallest wooden coaster on Earth, the Rattler was transformed this past off season to include Rocky Mountain Construction’s Iron Horse Track (similar to the track on Texas Giant just a few hours north). The ride is now smooth, powerful and FORCEFUL – definitely a steel coaster that should rank in your top three in the world after you ride it. Did we mention there’s a clever inversion on it, too? A HUGE thanks goes out to my friends at BorrowLenses for allowing me to capture such beautiful photos with their gear. While working on editing photos from my recent marathon trip across the country these past two weeks, I couldn’t help but laugh at what Facebook thought was a face…it’s actually a wheel bogey from the “epic” Iron Rattler at Six Flags Fiesta Texas. What’s your best caption for this shot?